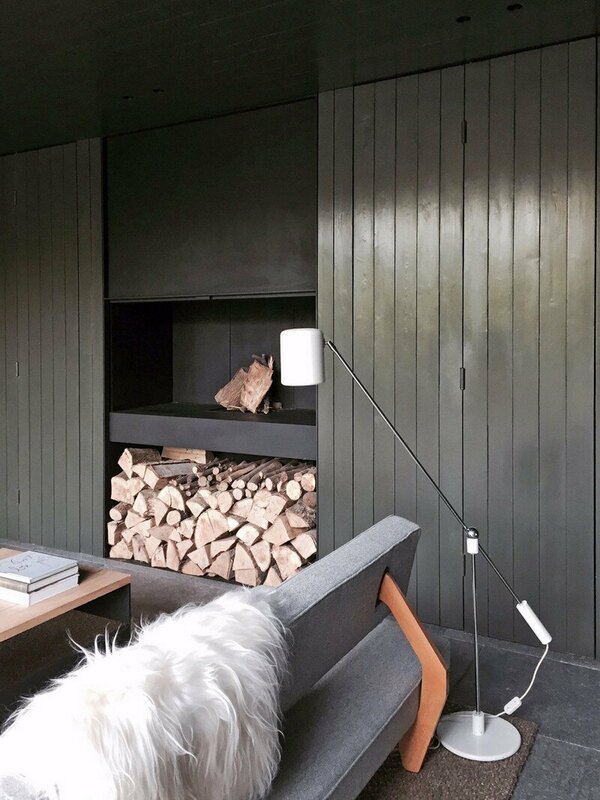 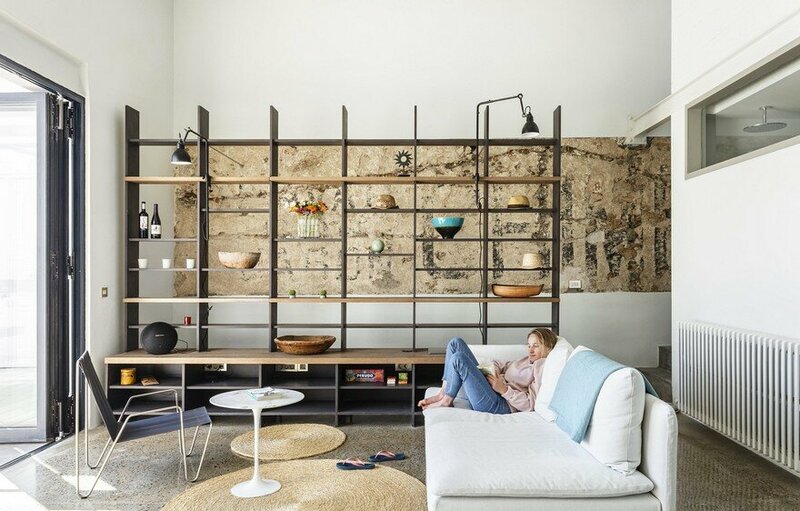 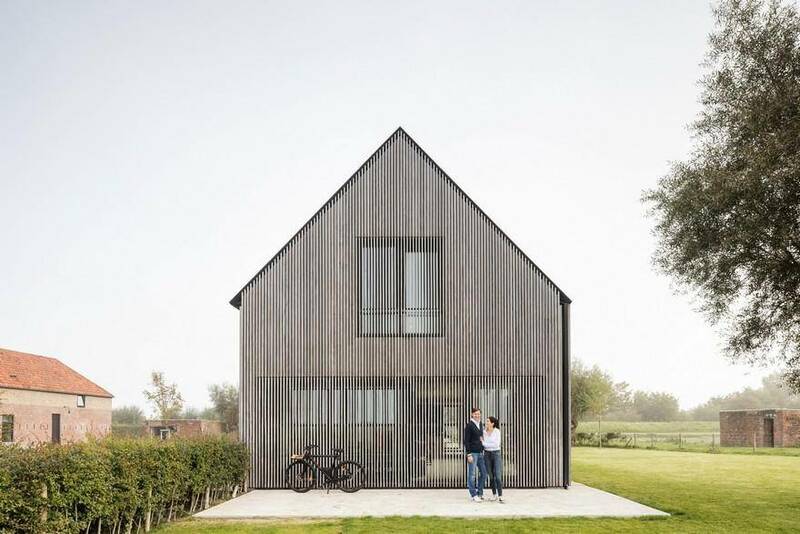 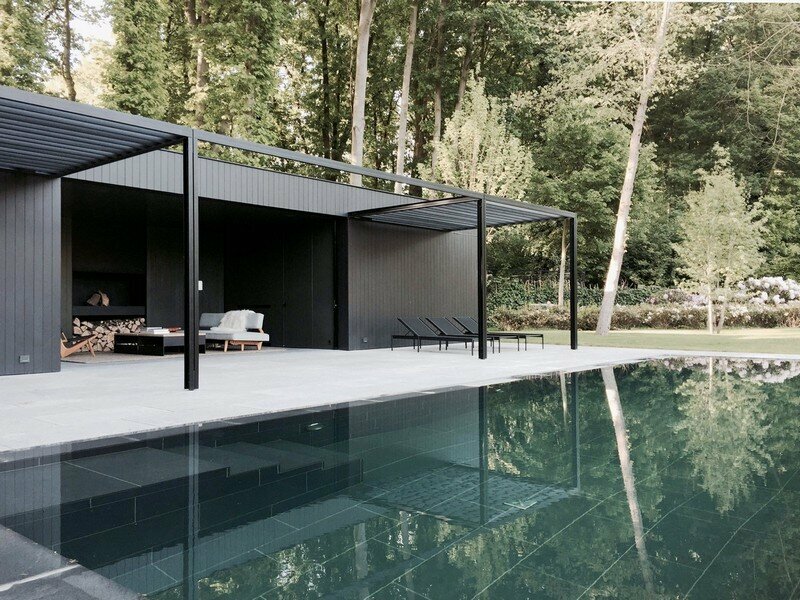 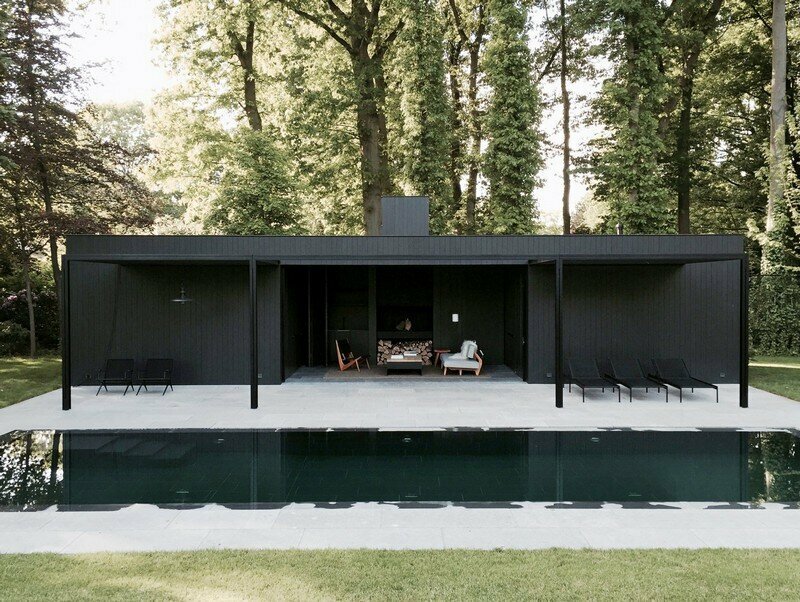 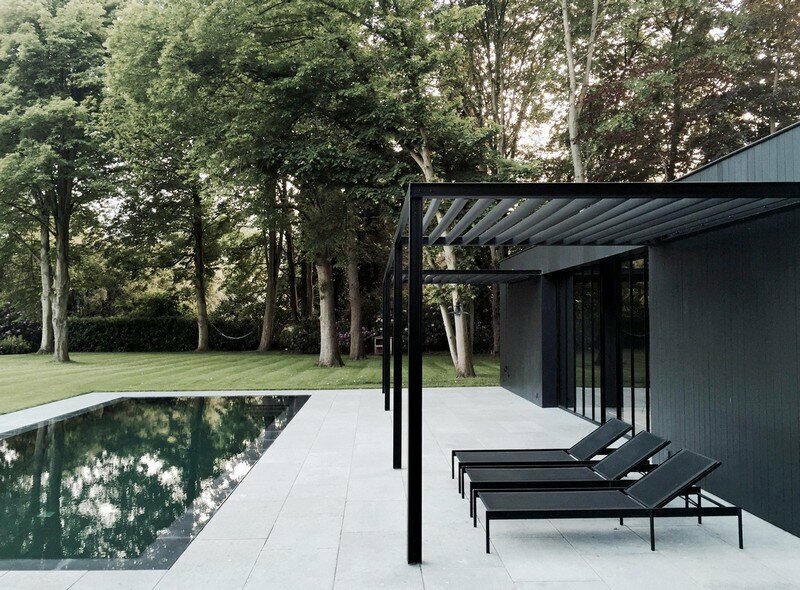 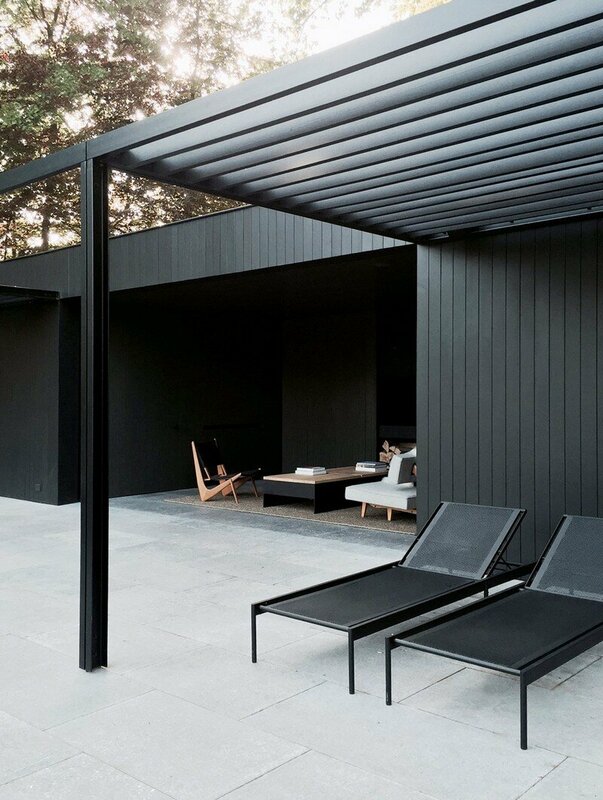 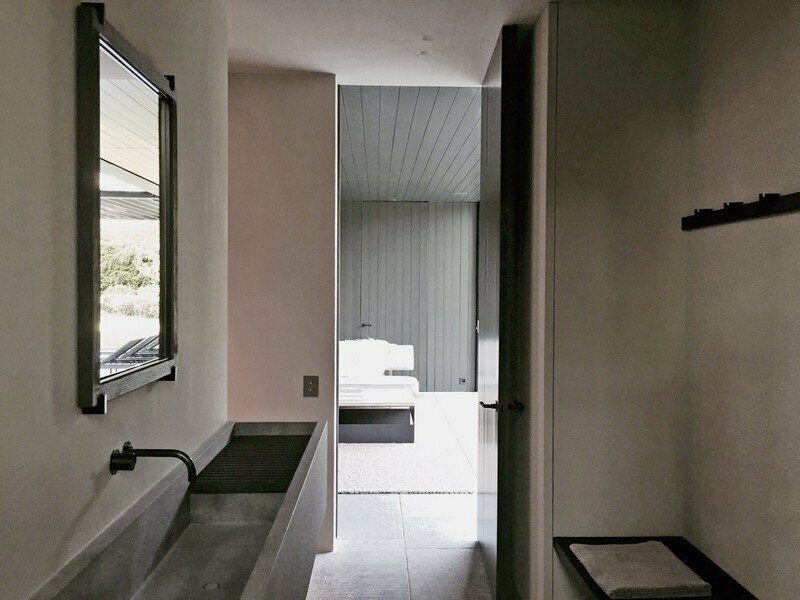 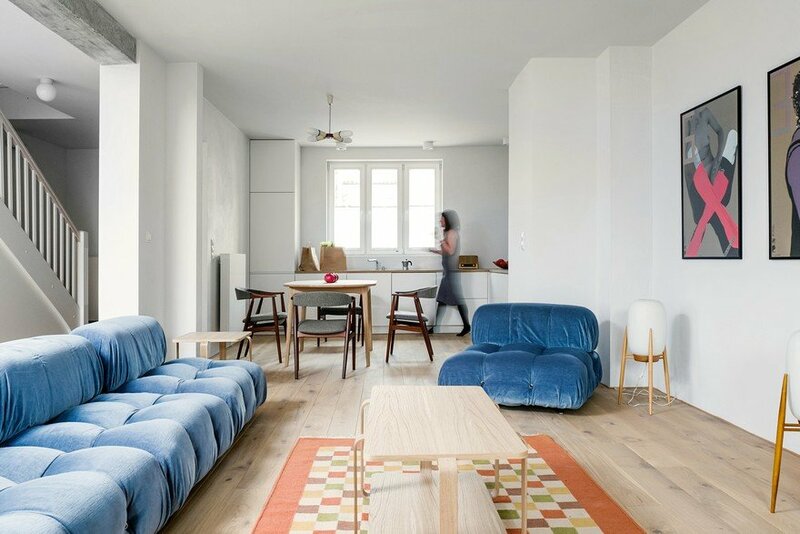 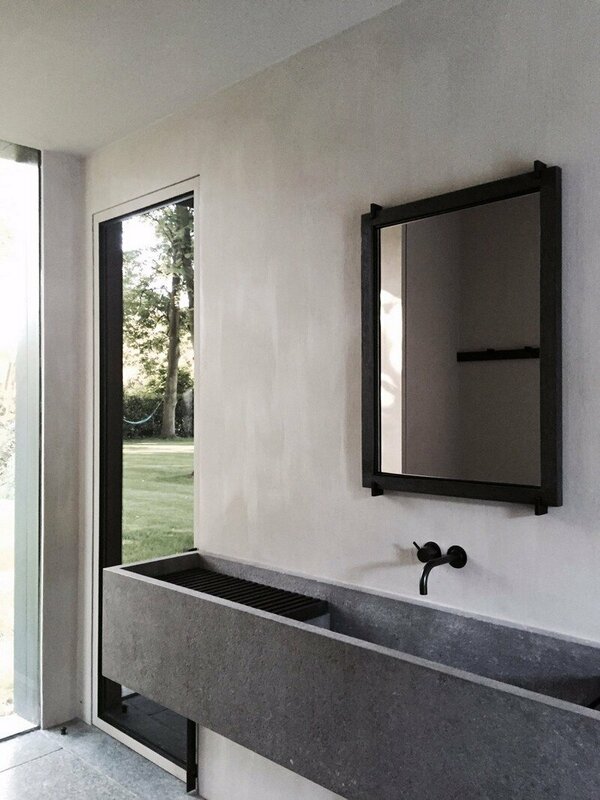 CD Pool House is a simple yet elegant space designed by Belgian designer Marc Merckx. 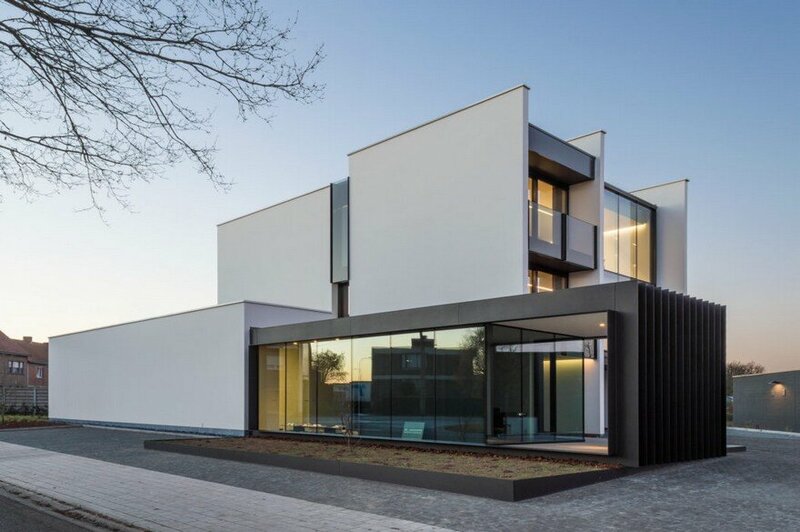 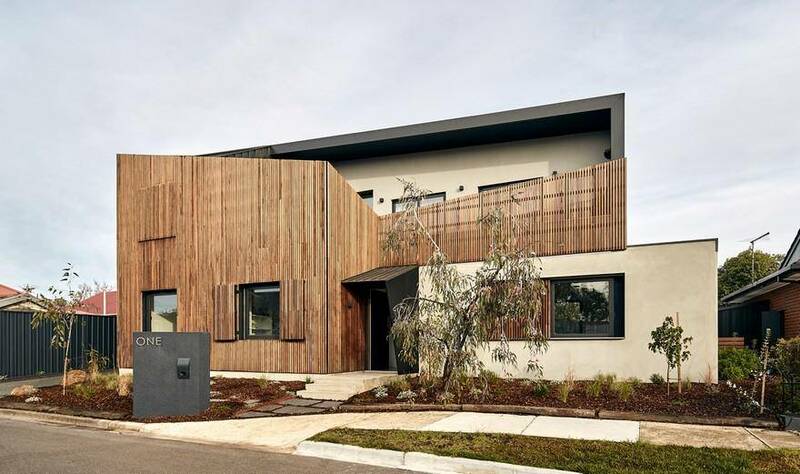 Project description: The structure’s defining feature is its sleek, dark façade. 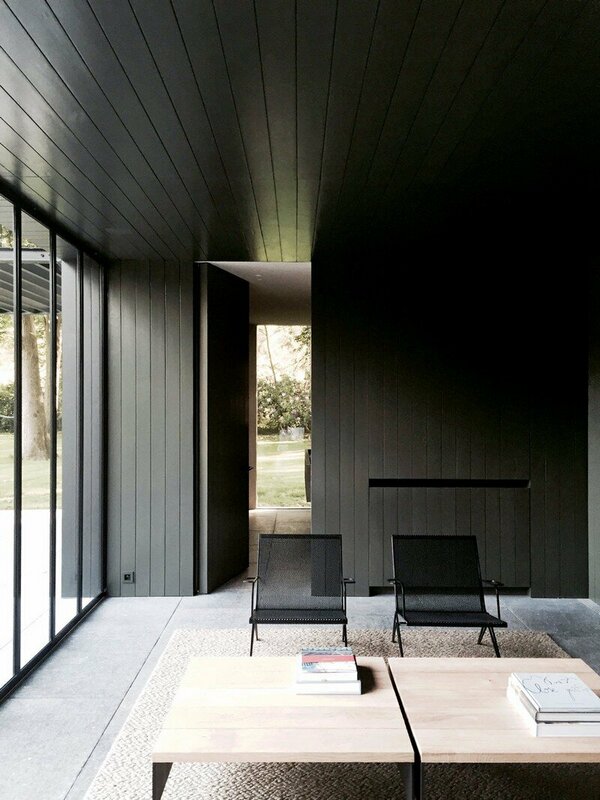 Stretches of straight timber merge with black-framed glass and a metal trellis. 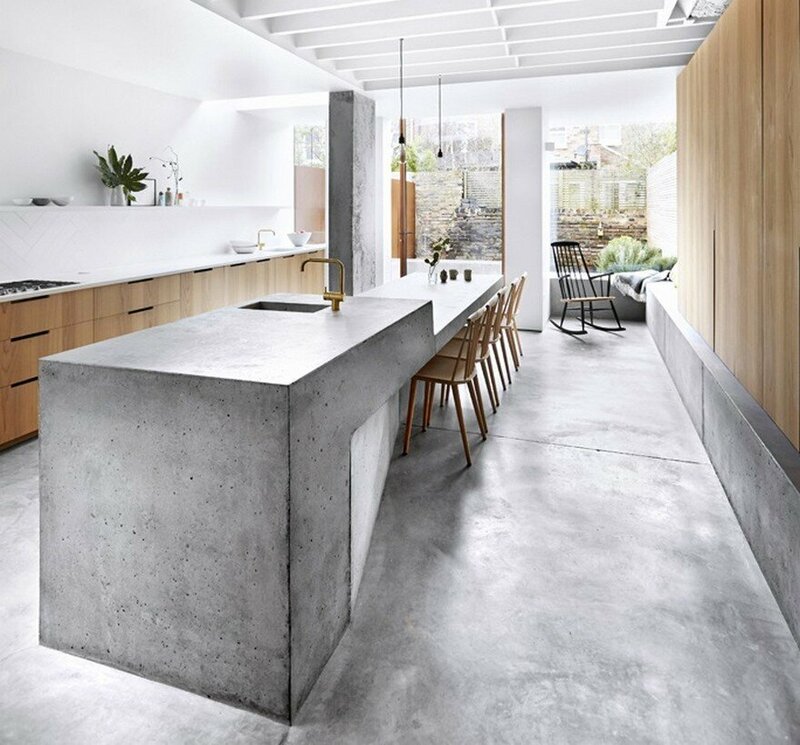 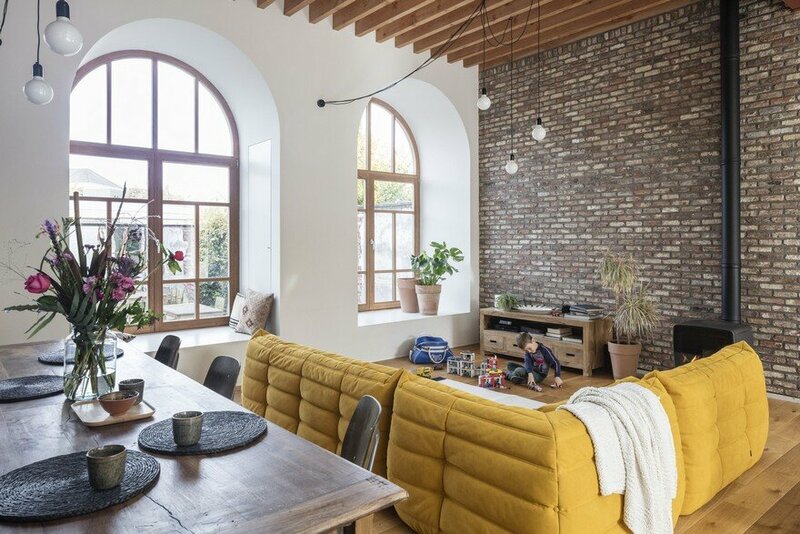 The darkened wood continues throughout the interior, along with light gray walls and concrete details. 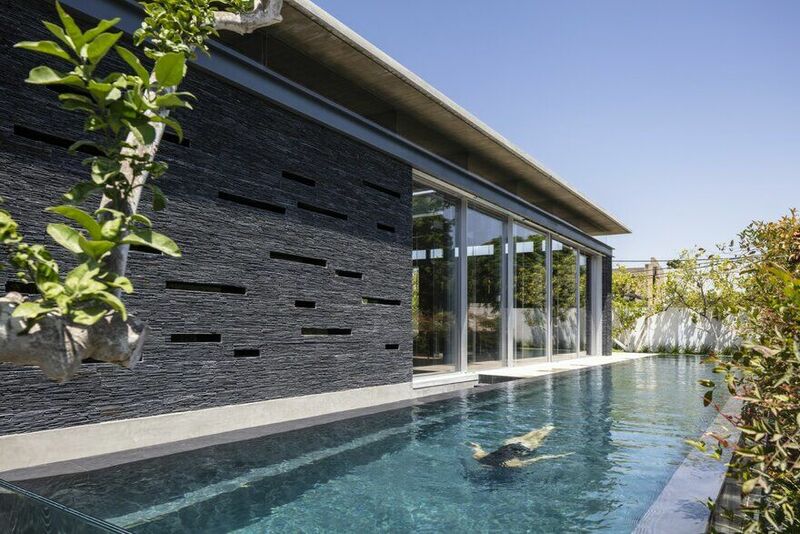 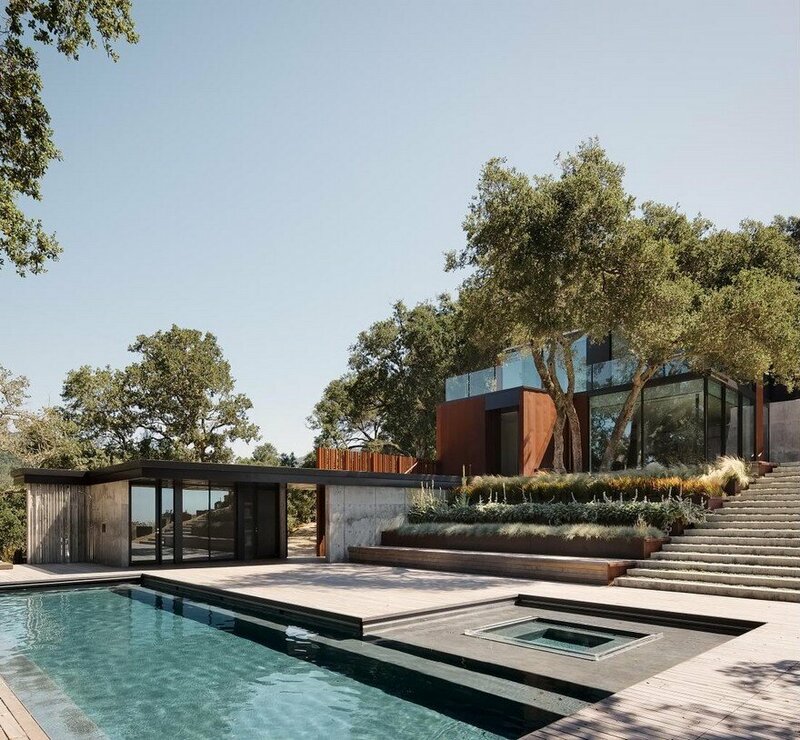 The pool sits directly parallel to its house and is equally beautiful. 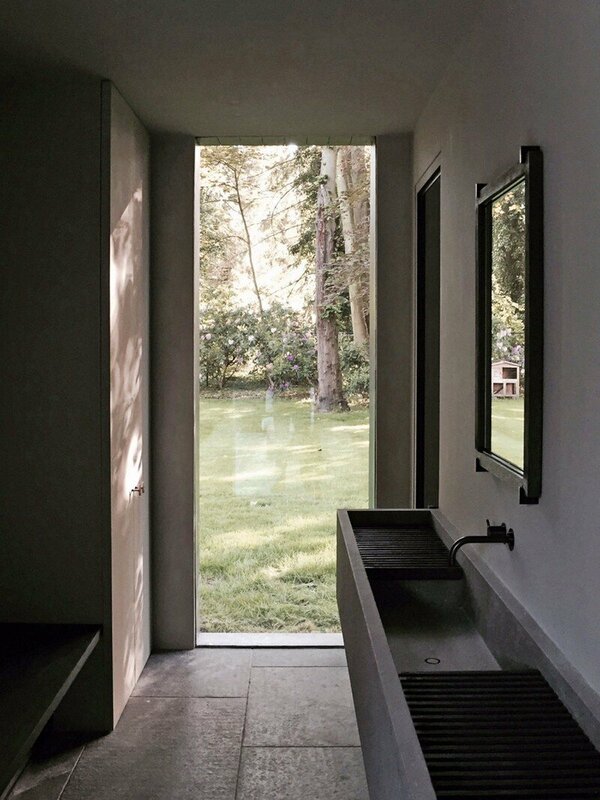 Green, glassy tiles create a soothing aesthetic reminiscent of an ancient Roman bath. 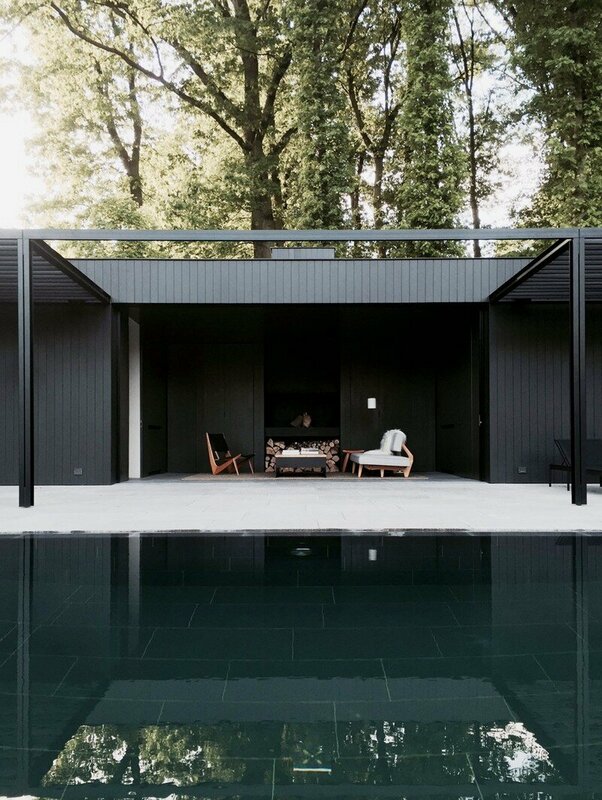 As a bonus, the peaceful water allows for a gratifying reflection of the stunning house and its wooded setting.